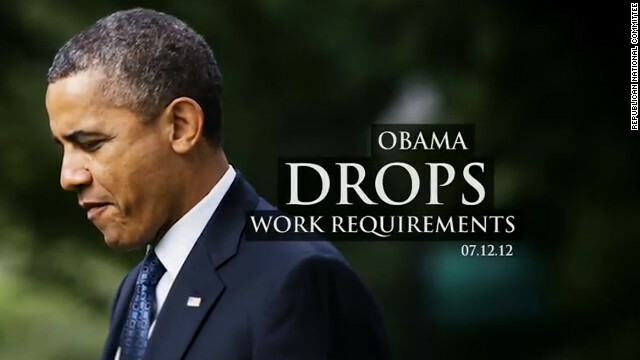 A widely circulated RNC ad claiming that President Obama dropped welfare’s work requirement was debunked by multiple news and fact-checking organizations, Inlcuding CNN. (CNN) - Browse your Facebook or Twitter feeds for just a few minutes and it won't be long before you’ll come across several posts (often from your well-meaning friends) about either of the presidential candidates. Many are misleading. Some are downright inaccurate. He says the danger is that we wind up with two nations and two ideas of what the truth is. Hi there, simply turned into aware of your weblog thru Google, and located that it is really informative. I'm gonna be careful for brussels. I will be grateful for those who proceed this in future. Many other folks can be benefited from your writing. Cheers! Truth is simple and brief. In a world where the news stations have 24 hours of broadcast to fill each day, where professors must publish new material to keep their positions in schools that multiple with the population, and in which the average person must learn to ignore much of their surroundings all of the time to protect themselve from a constant glut of advertising, truth is the money killer. To be honest, we could run elections by having people rank their top three issues and positions online by SSN and have the fellow with the most support for his positions lead, even if he looks like a goat, smells like a mule, and is as eloquent as a badger with distemper. Then, however, what would the news media sell advertisements in? Sure, disciplines could vote for majority stance on global warming, evolution, Higgs, or the reasons for autism each year based on nothing but the published evidence – but then professors would have to do research instead of writing thousands of claims and counterclaims based on the studies of others. In a perfect world, an educated electorate would choose who to vote on from the issues, and would be given a simple compare and contrast guide to the policies and platform of the candidates – but who would read that instead of tossing it out with the junk mail, spam, and endless commercials clogging up the TeVo? Truth is still truth, but until truth makes more money than spin, the only real truth you are likely to hear is that "money makes the world go 'round." I had an awesome professor in college that wrote a book about honesty: Is lying sometimes the right thing for an honest person to do – McKay. Great read. To tell the truth is to convey a true impression and avoiding the 3 devilish devices of deceit:: Outright lying, withholding information, exaggerating or understating. Certain groups are more apt to commit certain forms deceit , and in politics I think you see it all. @David in FL I'll check out that book. It sounds interesting. Psychologically people seek information that validates an already existing prejudice towards something, which probably explains all of the Fox News folks. If you read something from a source that more often than not has valid information, you're more apt to believe it. Same is true from a novel source. If you had a trusted brand you preferred, like Apple for instance, and love their product, reliability, etc.,; and they come out and endorse or state something that's not really related to them, but more of just an FYI, you'll most likely take it as fact. If people are presented with information that contradicts their belief system, they most often in most circumstances either outright reject it as false or build some sort of defense toward it by way of justifying their opposing stance. But if the information doesn't conflict, but rather supports their view point, it's rarely questioned. It doesn't even matter if it's true or not. That's the power of being able to instantly push messages to untold numbers of people. Not only can you broadcast facts, you can broadcast the most outrageous lies. Which become confused as facts and by the time the lie is called out for what it is, the damage is done. The media does it all the time. I guess when at the top "change" really means lies, when 800,000 for amnesty mysteriously becomes 1.6 million,there you have the answer. The worse part are the lies perpetuated and reinforced by the media. I am always seeing stories on Obama at campaign events and the stories always end with a microphone in the face of some kool-aide drinking supporter repeating an outrageous and often exposed lie. Why does the media choose to use these ending clips that are designed to perpetuate the lies? We expect the politicians to lie, unfortunately we have also come to know that the media is so biased that it too supports those lies by reinforcing them. Lying is for the weak. Always has been, for the confident are able to live with their words and actions. Human's are rationalizing mammals, not rational mammals. We convince ourselves of positions which serve our own interests in life. That's why there's no such thing as the mathematics channel, but everyone watches and reads tabloid news pumped with sensationalism and opinions. It's what happens when you take a billion year old white matter brain built off of animal instinct, and mix it with a new 1 million year young grey matter at the front of our brains. Politics is an emotional sport. @Dan Interesting point. The psychology professor I interviewed for this piece, Jesse Graham, is researching just that, the evolution of the ability to reason within the human mind. I suggest checking out some of his published papers. "Inlcuding CNN." Fact check your spell check CNN. Nope, the truth is the truth, however most of our lawmakers, including the Marxist, Muslim In Chief, seem unable to tell the truth anymore! A republican talking about the truth, now that's funny. @Kittyg Your attempt to bring this conversation down to the level of a school yard brawl by name calling is not appreciated here. But for a partial, definition of Marxism I point you to this, "Marxism is the system of socialism of which the dominant feature is public ownership of the means of production, distribution, and exchange. " I haven't heard any elected official advocating for government ownership of our currently private enterprises. If you are aware of such a statement, please point me to it. I'd be happy to investigate it for the purpose or reporting. Thank you. Well, we're in an age where we have to offer some type of rebute when challenged. We can't just sit there, keep our mouths shut. No, we have to go the extra mile just to be the one to get the last word in. And it always seems to happen to the ones who talk too much. Sooo, all you folks are saying that I should disregard factcheckers? I really have this strange compulsion to know if a statement that is important to me, uttered by a politician, is true or false, so, nice try but no cigar. @Jorge I think the point is to fact check. No one was saying don't fact check these things, quite the opposite. I know enough to know that the jackass and the elephant need to be taken out to a field and put out of their misery. Together they are destroying our country. And not, for the mouthbreathing masses, "here, here". What's even worse is that now the "fact checkers"–either official ones or else the news media in general–are either doing a bad job (like Politifact...ugh), or else are basically coming to the conclusion like "and so it's not true. In other news..."
What? If my President or candidate for President was telling whoppers like these campaigns are doing, I would not just say "false" and move on. I would be raking them over the coals and criticizing them very, very heavily for deliberate obstruction of the democratic process. People need FACTS to honestly and fairly evaluate candidates, and without them democracy is not served. The media needs to be a much more determined watchdog. Even networks that try to stay relatively down the middle–like CNN–are doing citizens a disservice. They should not be staying down the middle. They should be sticking with FACTS. If the Democrats lie more or lie bigger, then call them out more often or more harshly. If the Republicans are lying bigger or more often, call THEM out more often and more harshly. If one side lies 5 times and the other side tells 10 whoppers, don't just give us one example of each and say "Oh too bad. They both do it". Give them the full chastisement they deserve even if one side gets hit harder than the other. Give them the scorn and disdain they deserve. Ruin political careers if you need to. Only then will campaigns start to pull back from the lies a bit. Amen to that, brother! What happened to news broadcasters who weren't afraid to speak the truth to power? (How I miss Walter Cronkite). What happened to networks and newspapers that would broadcast the truth, no matter how much the politicians screamed? (Do you remember the Pentagon Papers?) Instead, we have screamers on both sides, and a middle of the road media that is afraid to step on anyone's toes. Where is that "middle of the road media"? I have yet to find it. I have yet to find an un-biased media. We have the likes of MSNBC, CNN, ABC, etc. . . that clearly lean to and support the left and then we have Fox and a lot of talk radio that blindly supports the right. Even our tax payers supported media, Public TV and Radio is clearly biased. I too long for a boring media outlet that reports and researches – not sensationalizes the trivial. You are correct there. Those people were fired because they didn't report the beleifs of their boss. The media that did report facts, are no longer around because their ratings went to the bottom for the same reason. Ratings go down when people don't listen to or read their comments on facts. People don't want to read anything that isn't their way. Good question, Judy. I'm the reporter who put this report together. It wouldn't be a surprise if people are primarily using sources that are aligned with their own way of thinking, with their ideology, when doing fact checking. The challenge is to be able to open yourself up to a valid, well formed argument rooted in verifiable facts that backs up the opinions of people opposed to your own ideology. Professor Graham says some facts are black and white while others are less clear, especially when projecting outcomes of policy in the future. Spot on. But this is just the tip of the iceberg on this conversation... Who out there thinks they are open checking the veracity of a statement about a politician you hate? What are your favorite websites you consult to sort through the bombast and hyperbole of claims? Please submit your sites! And if they are poised on one side of the aisle, please say so. I lean to the left, and have no problem saying that. I generally use Google and Wikipedia to search out articles on the topic of interest, then try to read enough of them to get a feel for the facts involved. I also have been reading a lot (a lost art, I know), primarily on economics, and the policies (both governmental and business) that lead to the 2008 crash. I refuse to believe anything based entirely on one report, whether it comes from the left, the right, or the middle.